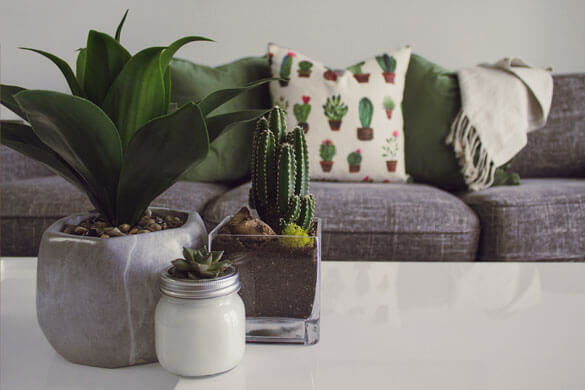 You've probably heard at some point that house plants are good for your health because they can clean, filter and purify the air of various toxins and pollutants. However you might not know what plants are best for the job? 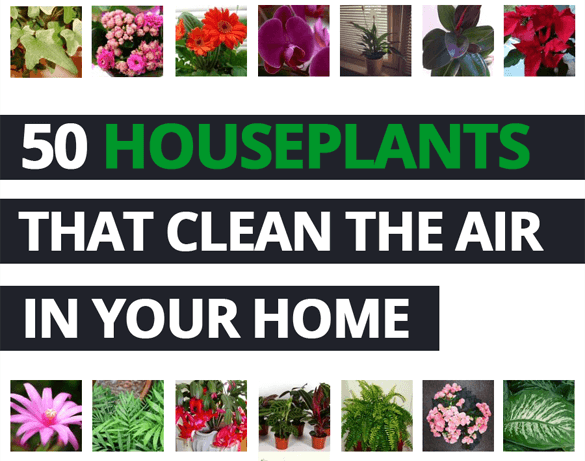 This guide's going to sort this out for you by listing the top 50 houseplants for air cleaning according to NASA and Dr Bill Wolverton. When NASA released their research that houseplants could remove chemicals, harmful bacteria and viruses from the air people were understandably very excited. As a result, significant research was carried out that looked at houseplants and their air purifying abilities in homes and places of work. 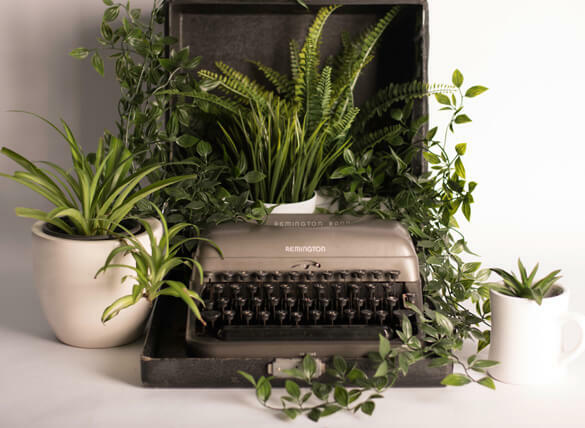 Dr Wolverton was one of the scientists brought on board to help research and study the effects of houseplants on air quality in contained spaces and produced some of the most popular and commonly referenced research papers about the topic. If you want to read more about Dr Wolverton's work, the experiments themselves, or better understand how he formulated his ranking we have provided an Amazon link below to his book - "How to Grow Fresh Air". The list below is ranked in order of plant effectiveness in a typical home according to Dr Wolverton. So the 1st plant in the list (Areca Palm) is the most effective and the 50th (Kalanchoe) is the least. (Some of the plants are links because they have a detailed care guide here on Ourhouseplants.com). Humans have always "known" plants did more than provide food for us or look good, but there was no real science to support this idea until about 40 years ago. It wasn't until The National Aeronautics and Space Administration (NASA) began to think about future life-support systems so humans could live on the moon and other planets that the ability of plants to filter and purify the air was exposed in full detail. NASA proposed that if humans traveled to inhospitable planets then biospheres would need to exist in order to support life, much like a spacecraft provides a suitable environment for its passengers as they travel through space. The problem for NASA however was that at the time spacecrafts could only be used for short periods due to the quick build up chemicals, coming both from the people themselves as well as various equipment and machinery used on the craft. Between 1980 and 1984 NASA demonstrated that plants that were exposed to chemicals in the nearby air could remove them. This included formaldehyde which is found in many everyday products, from fabrics and furniture to tobacco smoke and gas stoves. Numerous scientific studies have shown formaldehyde is dangerous to human health, the US National Toxicology Program in 2011 even went as far as to label it as a "human carcinogen". So the fact something as simple as a houseplant could remove this chemical quickly caught on and NASA's work quickly spread and was picked up on by the casual indoor gardener and health conscious. Not found your particular houseplant on that list? It's really important to remember that Wolverton's experiments focused on common houseplants at the time. 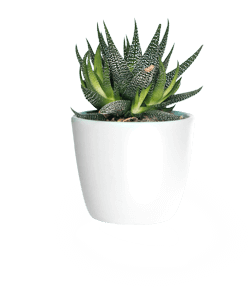 There would be no point putting in a fantastic air cleaning houseplant if no one had ever heard of it, or more importantly actually wanted to have it in their homes. The studies were also done in the late 1980's before certain plants like the ZZ Plant and Yucca had even become houseplants in their own right and therefore weren't part of the experiments either. This means a lot of modern houseplants around today aren't on the list. However even if some of your own plants didn't make it into the list there is no reason to see this as a negative. Almost all plants on the planet have an air cleaning ability, although it's true some are better adapted to deal with certain toxins, pollution and putting moisture back into the air than others. There may be certain plants ranking high on the list you really can't stand and others which you love but are lower down. Our opinion is that you should select plants for your home or office that you actually enjoy and like. Also the more plants you have the better and more effective the air cleaning results will be. 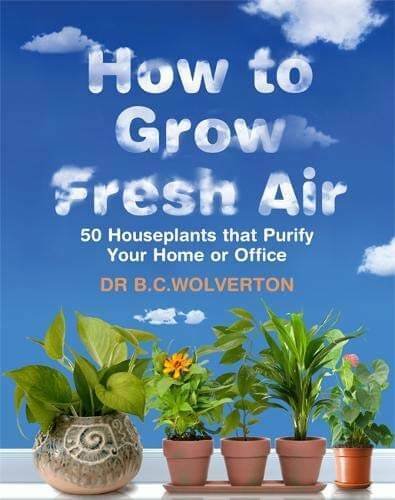 Check out Dr Wolverton's Book - How to Grow Fresh Air for more details. The list above will therefore simply illustrate that if you own (or spend time around) any of the plants detailed then there is hard scientific proof that they will clean the air in your home or office and have the official stamp that they "are good for your health" as a result. Which plants do you have? Would you consider buying any from the list as a consequence of reading this? Do you agree with Dr Wolverton's findings? Let us know in the comments below!